You will need homeowners insurance if you are planning on purchase a house or condo in Detroit. Replacement Cost Policy-This policy will allow you to replace, repair or rebuild your damaged property to its original condition, with the same kind and quality materials. That means if you have plaster walls it will be replace with plaster walls. In order to purchase this type of policy you must insure your home for an amount of insurance equal to or greater than 80% of what it would cost to replace your property. Market value Policy-This type of policy allows you to replace, repair or rebuild your damaged property to a condition similar to what it was before the damage, using modern materials. This means that if you have plaster walls the walls will be replaced with drywall. In order to buy this type of policy, you must buy an amount of insurance equal to the market value. In general this type of policy provides less coverage than a Replacement cost policy. Take an accurate inventory of your possessions and get an assessment from realtor or your agent to make sure that you are not over insuring your property. Set your deductible to a level that is high enough that you can afford. The deductible is the amount that you pay on the claim before the insurance starts to pay. The higher the level you set the lower the cost of your insurance will be. Homeowners insurance can help to protect your personal property against fire, lightning, windstorm, hail, explosion, volcanic eruption, riots, aircraft damage, vandalism, vehicle damage, smoke or theft. You have two choices when it comes to insuring your personal property you can insure your property for the actual cash value (how much it is worth today) or its replacement value (how much it would cost to replace the item). You will have to pay a little more to get the replacement value coverage. Homeowners insurance can also provide valuable protection if your home is made unlivable due to a loss. Your policy can pay for another place to live while your home is being repaired. Your homeowners policy can also provide medical payment to others for necessary medical expenses incurred or medically ascertained within 3 years from the date of accident or injury. This coverage does not apply to the insured or regular residents of the household and is $1000, but additional limits can be purchased. There is coverage to help to protect you in case of a lawsuit due to a liability claim caused by someone being injured in your home or damage to someones property. This coverage will protect you from the lawsuit and also pay for the cost to defend you even if you were deemed to be not at fault. Liability limits start at $100,000, but additional limits may be purchased. Your liability limits should at least exceed the cost of your house and be enough to cover whatever your total assets are. View this post for more details on what is covered on a Detroit homeowners insurance policy. Discounts may be given if you have updated certain items in your home such as the heating or cooling systems, plumbing, electrical or if you installed a new roof. Some companies offer additional discounts if you have an indoor sprinkler system, installed a high impact roof (in hail areas) or used fire resistive materials in the construction of your home. Insurance companies will give a discount for newly built homes and will usually extend that discount until the home is about 20 years. Many Michigan homeowners insurance companies offer some form of a senior citizens discount, the age requirement might differ from company to company, but could be as early as 50. You should check with your agent to see if this discount is available from your company. Contact our office to answer all of your Detroit homeowners insurance questions. A Detroit homeowners insurance policy can be started with a phone call 248-888-1134 or you can visit our site a local homeowners insurance agent for more information or to get a quote online. 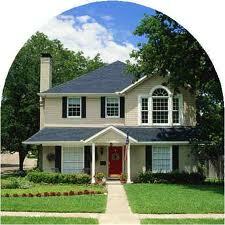 Detroit homeowners insurance is an independent site and not affiliated with the government.